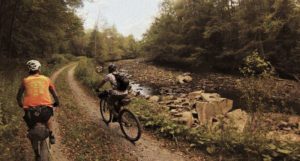 Bikers ride along the Cranberry River, a tributary to the Gauley River. The New River Gorge Trail Alliance has received a $140,000 planning grant from the Appalachian Regional Commission for a feasibility study of a regionally connected bike trail system in Fayette and Nicholas counties. Photo submitted by Mike Boyes. 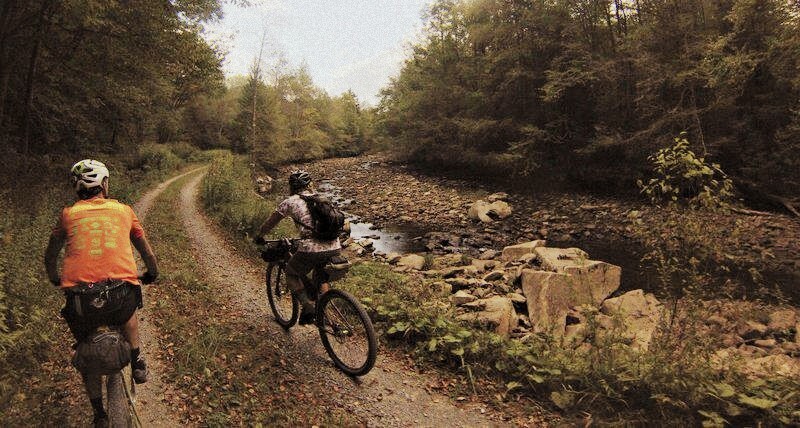 The New River Gorge Trail Alliance has received a $140,000 planning grant from the Appalachian Regional Commission for a feasibility study of a regionally connected bike trail system in Fayette and Nicholas counties. Working in partnership with West Virginia Connecting Communities, the Trail Alliance will spend the next year planning how to build a regional network of trails in the two counties. Project partners include the Hatfield and McCoy Trails, Division of Highways, National Park Service, U.S. Forest Service, Fayette and Nicholas county governments, Active Southern West Virginia, West Virginia Connecting Communities, various city governments and many private businesses. The New River Gorge Trail Alliance is a non-profit organization. For more information, connect with the alliance on Facebook at www.facebook.com/NRGTA.